We were thrilled to hear her announced as the runner-up, and the winner of the Dame Malvina Major scholarship prize of $20,000. Below the photos I’ve pasted the piece published in the Northern Advocate yesterday. “The future of rising Whangārei singer Eliza Boom is looking rosy after she came second in the prestigious 2018 Lexus Song Quest, taking home $20,000 of prizes. Bass-baritone Joel Amosa, 28, from Auckland, won the 2018 Lexus Song Quest Grand Final Gala at the Auckland Town Hall on Saturday night, winning an immediate cash prize of $20,000 and a study and travel scholarship worth $30,000. 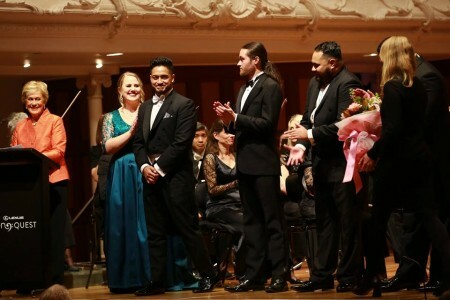 Second place went to Whangārei soprano Boom, 24. 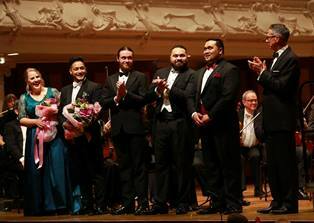 Tenor Filipe Manu, 25, from Auckland, was awarded the Kiri Te Kanawa Foundation scholarship for the most promising singer. Boom wins an immediate cash prize of $10,000 supported by the Dame Malvina Major Foundation and a study scholarship of $10,000. The other three finalists, Joe Haddow, Manase Latu, and Manu, receive $3,500 cash each. 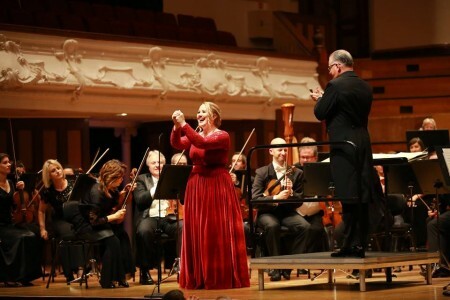 Boom said she was “still buzzing” after performing on stage with the New Zealand Symphony Orchestra during the competition. 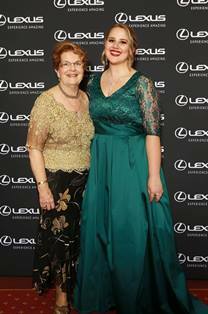 The Lexus Song Quest is New Zealand’s most prestigious singing accolade with a prize pool of $90,000 in cash and study scholarship prizes. She began her musical studies in Hamilton as an 18-year-old studying towards a Bachelor of Music at Vision College in 2012. 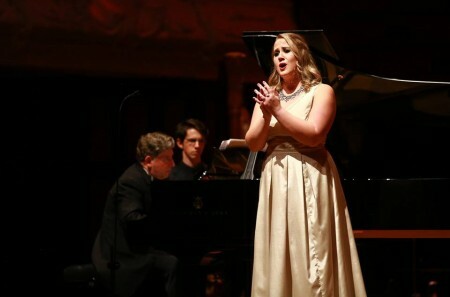 The talented soprano recently completed her Masters in Music at the Royal Northern College of Music in Manchester and returned home to take part in the Lexus Song Quest. She enjoyed working with head judge Lisa Gasteen as well as coachings and rehearsals which she described as “full on and a great opportunity”. Born in Hamilton but growing up in Whangārei in a musical family, at 15 Boom began singing lessons, which introduced her to the world of opera. “I loved music, but I wasn’t sure what I wanted to do for a career,” she said. Katie went on to become a music therapist but, for Eliza, the college was the beginning of her classical music career – one that would see her sing under the tutelage of Dame Malvina Major, win awards and scholarships and perform on international stages alongside world-class orchestras. 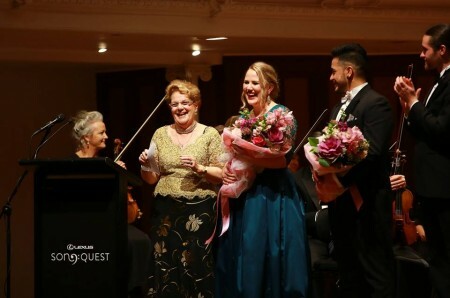 In its 62-year history the Lexus Song Quest has launched the careers of some of New Zealand’s most celebrated singers including Dame Malvina Major, Dame Kiri Te Kanawa, Phillip Rhodes, Jonathan Lemalu and Sol3 Mio’s Amitai Pati. How lovely to hear the news of Elizas success and see the photos ..also to hear of your lovely book reaching more finals. How God has enriched all our lives through you dear family… May you continue to bring Him much glory . Love from Jean,David Stephie…. Warmest congratulations to Eliza! And the proud parents and family too. Congratulations Eliza! We rejoice in your blessings! Wonderful news – congratulations Eliza!